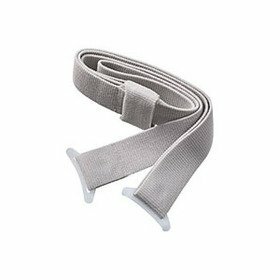 Coloplast Brava Ostomy Support Belt XXL 61″ L, Grey, Soft, Adjustable Plastic Tab, For Use with SenSura® Mio Click Barriers, Latex-Free. Coloplast Brava ostomy belt is designed to provide additional security. It is used to keep skin barrier this can be helpful if you find it a challenge to find equipment that fits your body shape. It has four belt loops, so it provides a stable pressure on the wafer. Can connect to any 1 to 2 piece barrier with belt tabs.